Lawrence G. Kidd, MD, PC, is an expert primary care physician and internist serving adult patients in the Lawrence, Massachusetts area. He received his Doctor of Medicine degree from the University of Massachusetts Medical School and completed his residency in Internal Medicine at Baystate Medical Center. He has also completed a Fellowship in Infectious Diseases at Mount Sinai Hospital. Today, he is a leader in the community known for creating specialized treatment plans based on his patient's unique needs. With a focus on excellent bedside manner, he puts even the most nervous patients at ease, providing gentle care in a comforting environment. 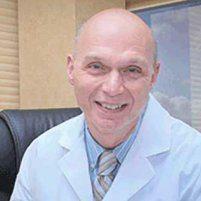 He is board certified by the American Board of Internal Medicine and is a member of the Massachusetts Medical Society. Dr. Kidd speaks English, Spanish, and German. With over 30 years experience, Dr. Kidd’s patient satisfaction and retention is second to none. He credits this to his genuine interest not only in the health of his patients but also the rest of their lives. By utilizing this passion, he provides his patients with treatment plans that give them the healthiest, happiest lives possible.